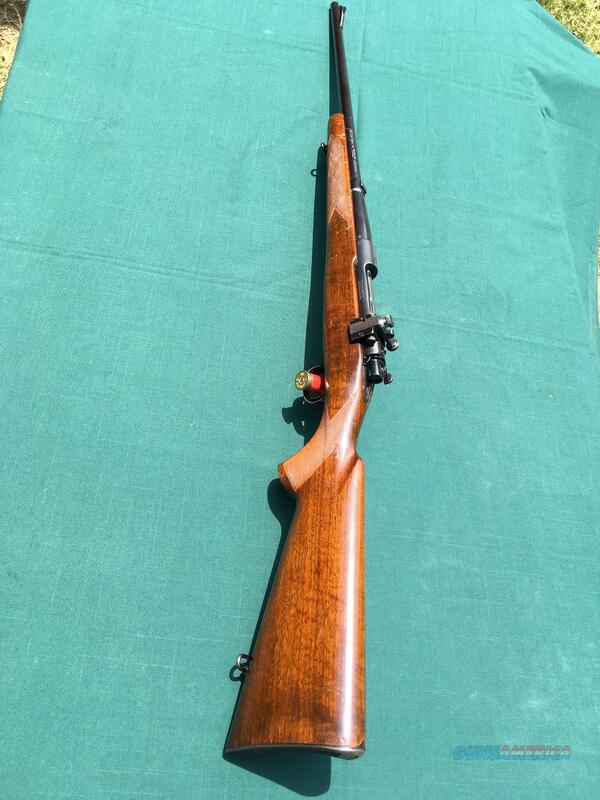 Description: Winchester Mod 70 Pre64. This rifle is really nice wood does have a few bangs on it. (See photos). Metal in good conditions with at least 80% bluing left. Bore is bright with nice rifling ( did not scope it). Nice Lyman peep sight Serial # 37730 Please contact me if you need more photos.